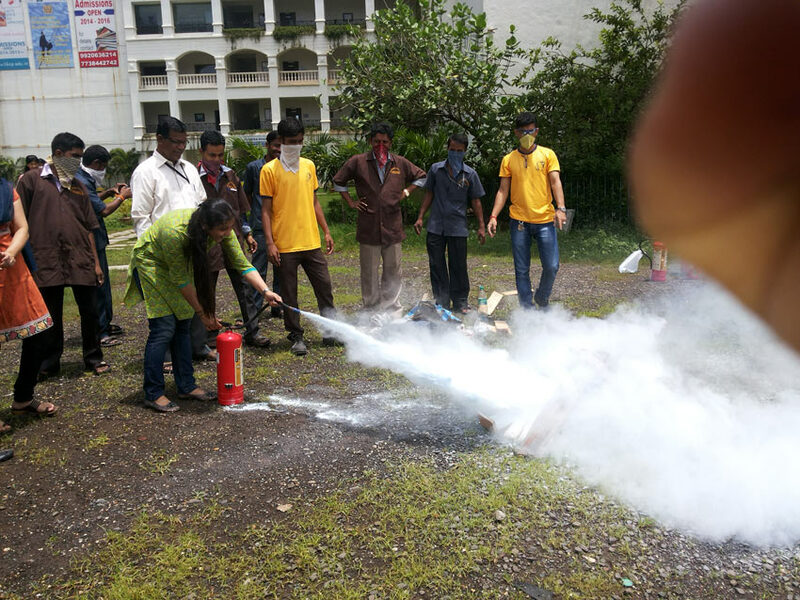 A training program on ‘Firefighting techniques’ was organized at H. K. College of Pharmacy on 9th December 2015. 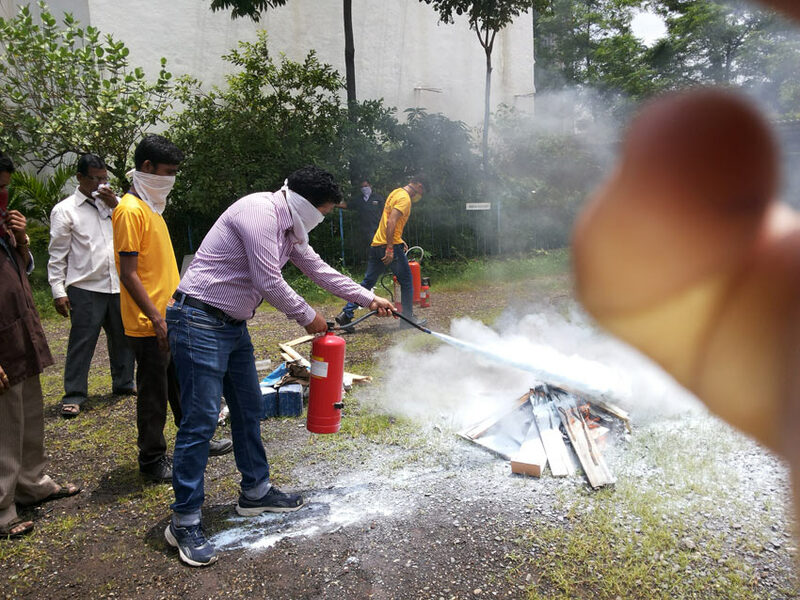 The demonstration started with a detailed overview given by Mr. Ajit Shukla of Safex Fire Services Ltd. about the various causes of fire, classification of fires, types of fire extinguishers and precautions to be taken to prevent a fire hazard. 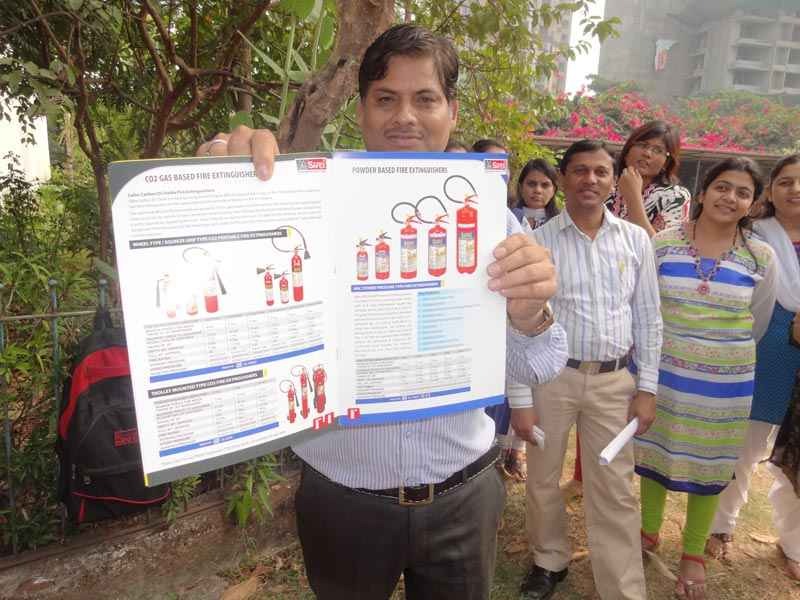 He also explained in detail about the measures to be taken in case of a fire. 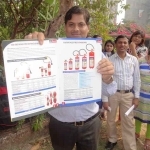 A number of questions were asked by the assembled people which were answered by Mr. Shukla. 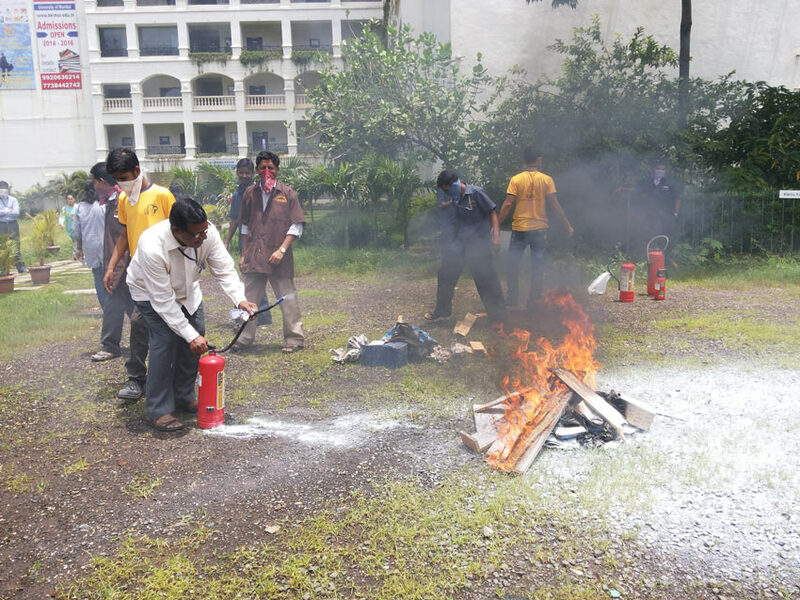 This was followed by demonstration of the use of fire extinguisher on a fire which was lit on the ground. 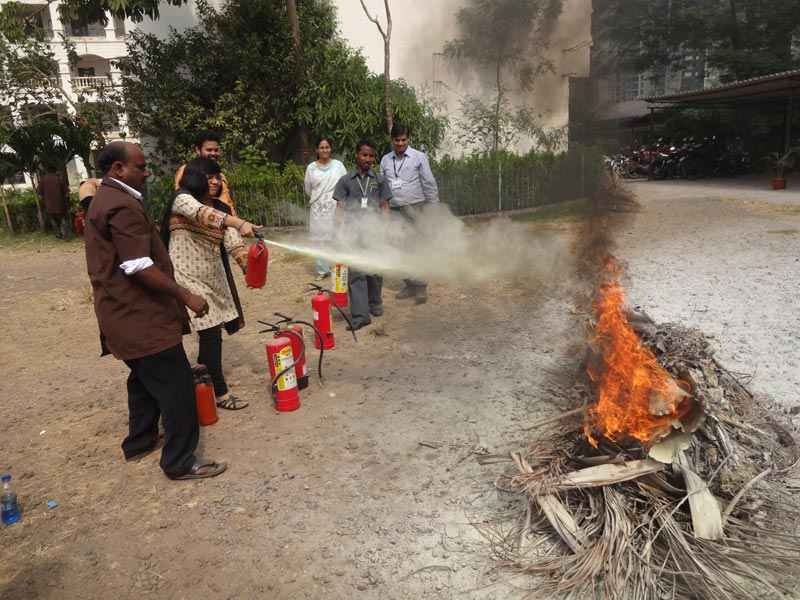 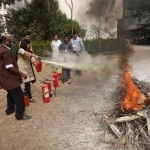 The demonstration was attended by teaching, non-teaching staff members and students who practiced on the fire extinguishers as per the directions given by the trainer. 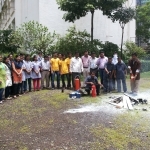 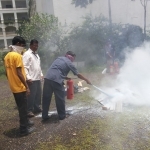 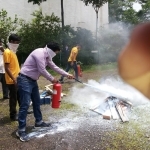 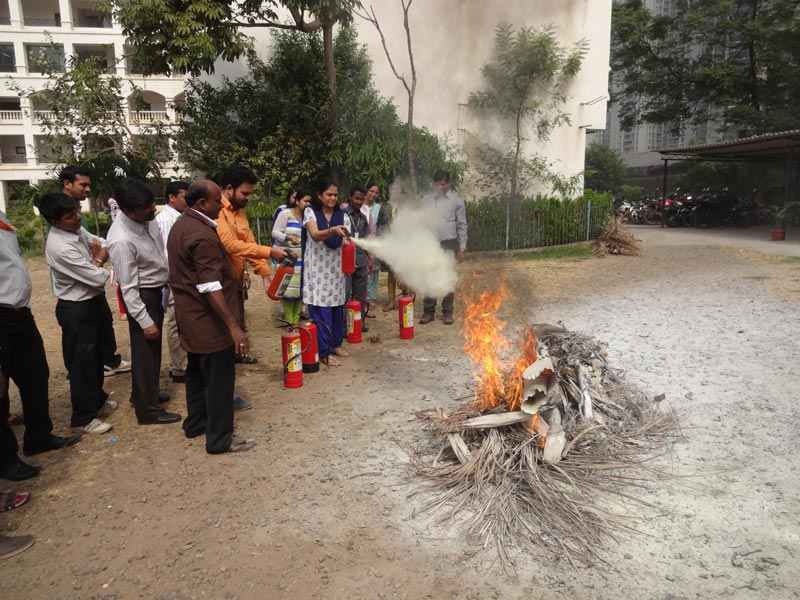 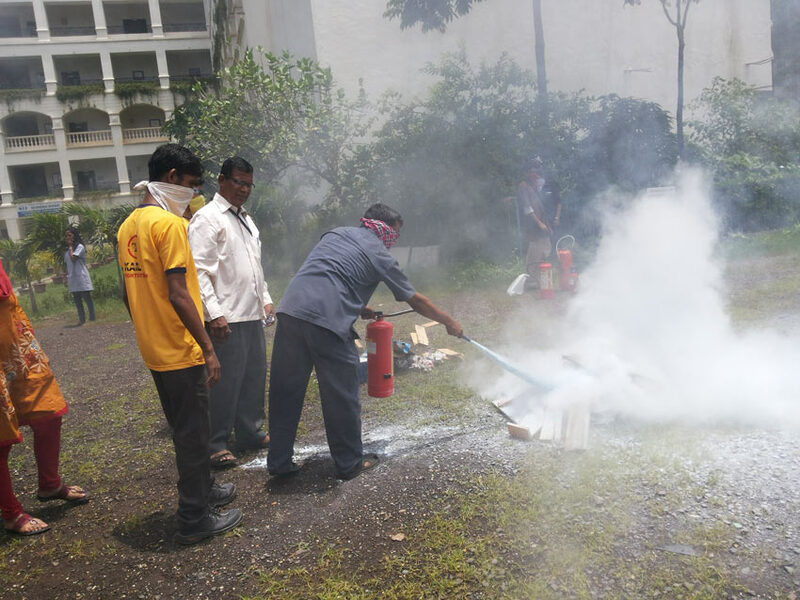 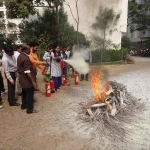 The college arranged a demonstration of “Firefighting Techniques” on 9th August 2014 for the teaching and non-teaching staff members. 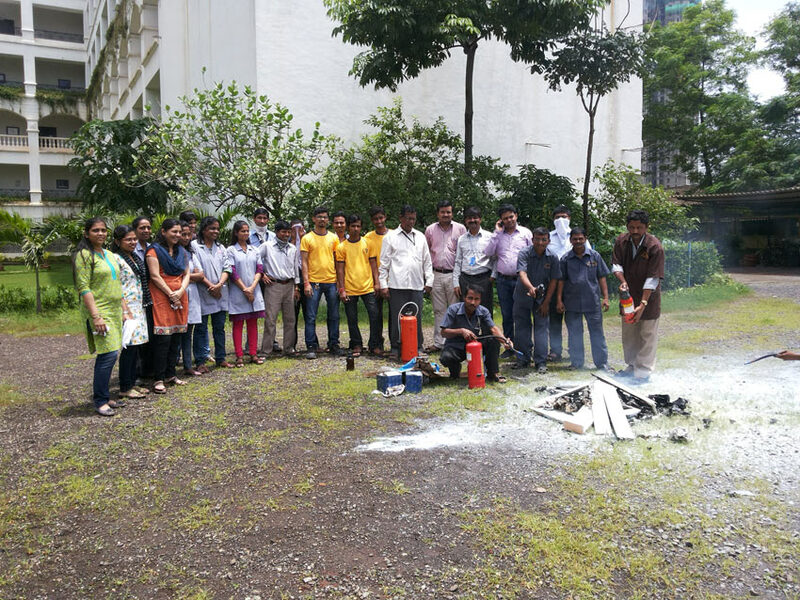 The representatives from M/s Kamal Fire Fighting System, Thane gave a brief introduction about fire extinguishers and fire blankets. 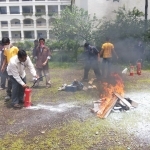 They demonstrated the use of fire extinguisher by lighting a fire on the ground. 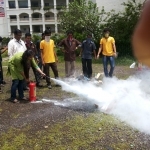 The teaching and the non-teaching staff practiced on the fire extinguisher.